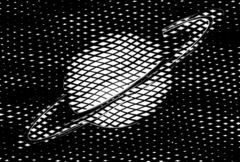 Generates a version of the source clip using two sets of black and white lines of varying thickness to give an 'etching' or 'lithograph' look. Use the Smooth Source parameter to remove some details and make the lines more evenly shaped. Use the Lines Frequency parameter to adjust the density of all lines. Rotation of the etched lines pattern in counter-clockwise degrees. Lines1 Angle: Default: 30, Range: any. The relative angle of the first set of etched lines in counter-clockwise degrees. Lines2 Angle: Default: -20, Range: any. The relative angle of the second set of etched lines in counter-clockwise degrees. Lines Sharpness: Default: 4, Range: 0 or greater. The sharpness of the etched lines. Decrease for softer edges. Lines Add Width: Default: 0, Range: any. If positive, the source is blurred by this amount before the etching is applied. Lines Frequency: Default: 50, Range: 0 or greater. The frequency of the etched lines. Increase for a finer line pattern, decrease for fewer lines. Lines1 Frequency: Default: 1, Range: 0 or greater. Scales the frequency of the first set of etched lines. Increase for a finer line pattern, decrease for fewer lines. Lines2 Frequency: Default: 1, Range: 0 or greater. Scales the frequency of the second set of etched lines. Wave Amp: Default: 0.1, Range: 0 or greater. The amplitude of the waviness of the sets of etched lines. Wave Frequency: Default: 2, Range: 0 or greater. The frequency of the waviness of the etched lines. Increase for more waves. The 'brighter' color of the lines pattern. The 'darker' color of the lines pattern. Lines Shift: X & Y, Default: [0 0], Range: any. Shifts the pattern of lines. This location will also be the center of rotation when the line angle parameters are adjusted. This parameter can be adjusted using the Lines Shift Widget. Warp Amp: Default: 0.05, Range: any. The amount the output is warped using the source brightness. Warp Smooth: Default: 0.4, Range: 0 or greater. The smoothness of the warping. This has no effect if Warp Amp is 0. Edges Scale: Default: 0.5, Range: 0 or greater. Adjusts the amount of source edges to be included in the result. If positive, edges in the source image are found and added to the etching pattern. Determines which edges are included in the result. Increase to remove minor edges and speckles. This has no effect unless Edges Scale is positive. Edges Width: Default: 0, Range: 0 or greater. The width of the edges added to the result. Increase for wider edges. This has no effect unless Edges Scale is positive. Edges Sharpness: Default: 3, Range: 0 or greater. Increase for sharper edges, decrease for softer edges. This has no effect unless Edges Scale is positive.